Today, HyMove has signed an announcement, together with its Dutch partner Nedstack and its Chinese partners Huaxia and DongFeng Commercial Vehicles, for the development, built, supply and application of a first set of HyMove/Nedstack prototype 30kW Fuel Cell systems, specifically designed for the Chinese market of heavy duty commercial vehicles. 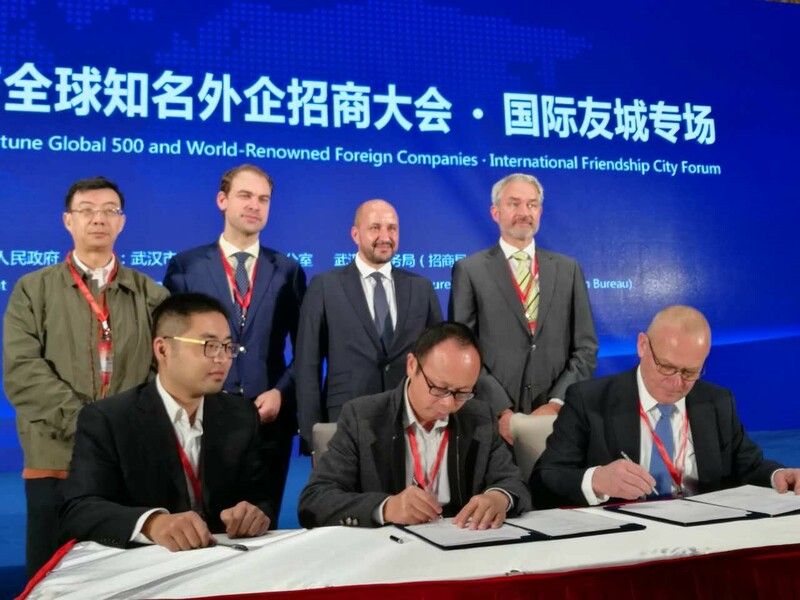 The announcement ceremony took place in Wuhan (CN) as part of the Wuhan IPCFCF International Friendship City Forum and was attended by Mr. Ahmed Marcouch, the Mayor of Arnhem, as well as Mr. Chen Yixin, Chairman of the Wuhan Municipal People’s Congress. 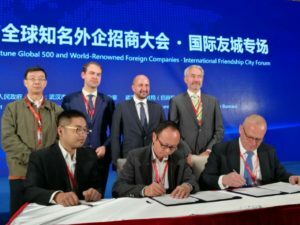 Several weeks ago, during a signing ceremony in the city of Zhangjiagang, HyMove and its partners Nedstack and Huaxia entered into a Letter of Intent for setting up a Joint Venture. 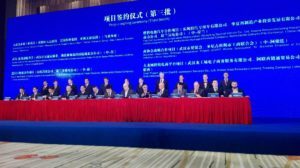 This Joint Venture will bring a new generation of Fuel Cell systems for commercial vehicles to the market with unique efficiency, lifetime and reliability performance and compliant with the relevant automotive standards and supportive policies in China. 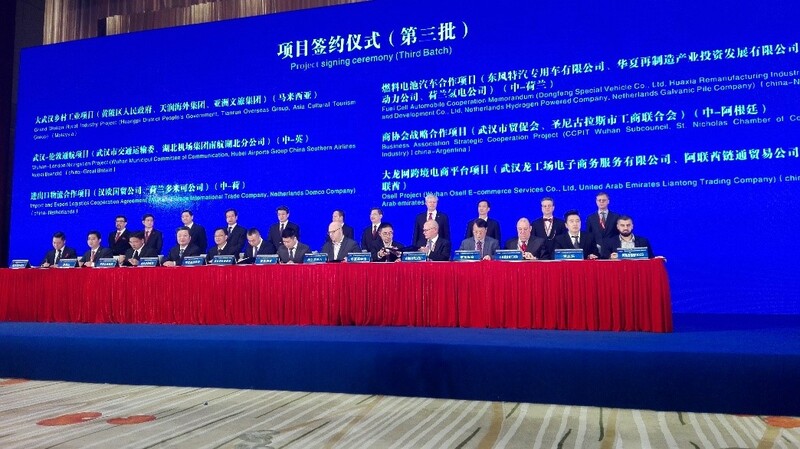 In the words of Mayor Mr. Marcouch: “This announcement marks a first step on the new road for us as sister cities, and in the future, it could very well contribute to mass production of best in class Fuel Cell Electric commercial vehicles in Wuhan and bring us a significant step closer to a mature global Hydrogen Economy, with clean sustainable urban transport and fresh, healthy air for all our citizens.” All parties involved are foreseeing a sales volume of at least 3.000 units of 30kW-45kW fuel cell systems in 3 years’ time, which underlines the vast opportunity for Fuel Cell commercial vehicles in tomorrow’s Hydrogen Economy. © Copyright Hymove 2017. All rights reserved.